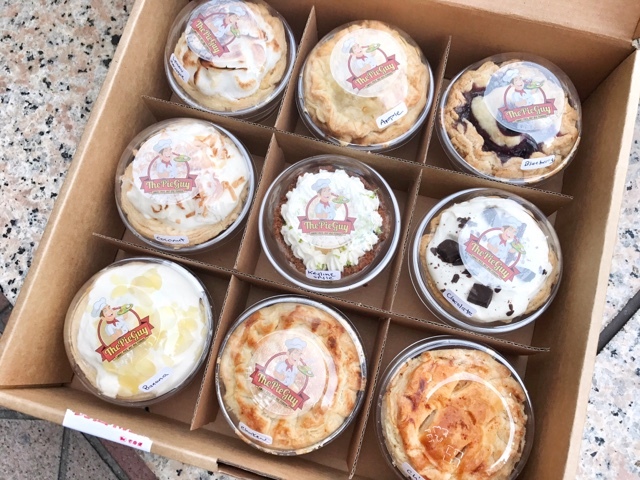 When a friend of a friend emails and says, "I have a friend that makes pies, can I introduce you?" the answer should always be YES. My ranting about the lack of American style pies in Taipei is nothing new and my search for them over the years has led me to try Mom's Pies, Rose Pie, My Sweetie Pie, Drip Cafe (their lemon meringue and banana cream pies were my favorite for awhile), McDonald's (they've kept the fried apple pie all these years), WXY, and now the The Pie Guy. Founded this past year, Pie Guy aims to bring traditional American pies with natural ingredients and crusts made with butter, but in mini sizes. 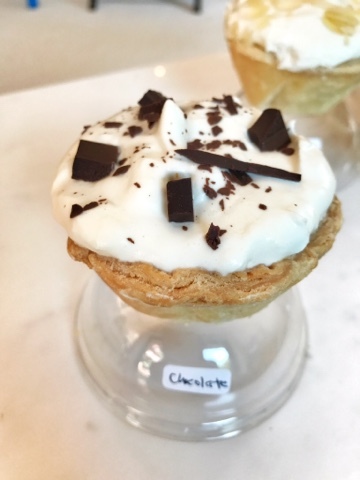 He grew up loving and making desserts with his family, playing with the scientific side of baking and his idea for Pie Guy came with taking recipes that had used over the years but adjusting them for mini form. OOOOOOOOHHHH. Where do we start? 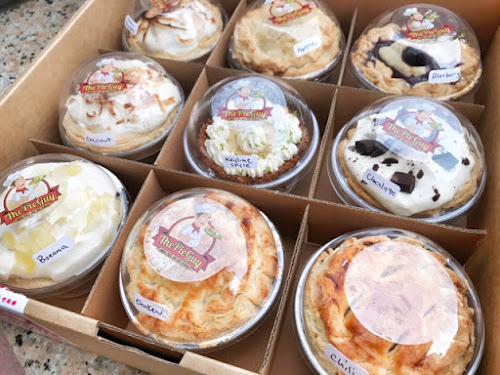 The pies from top to bottom: lemon meringue, apple, blueberry, coconut cream, key lime style, chocolate cream, banana cream, chicken and chili. 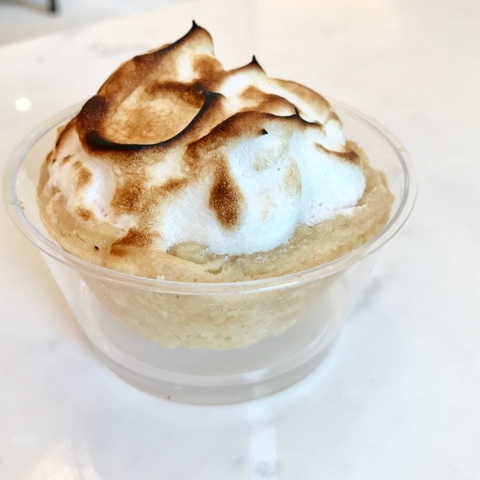 The lemon meringue was one of my favorites, with a sweet and tart filling and torched meringue atop. 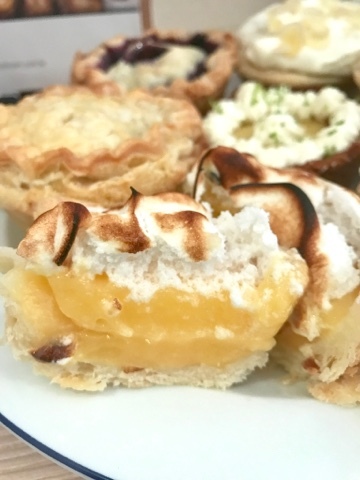 You can actually find a lot of lemon tarts in Taipei, but it's so much better with pie crust and meringue atop. 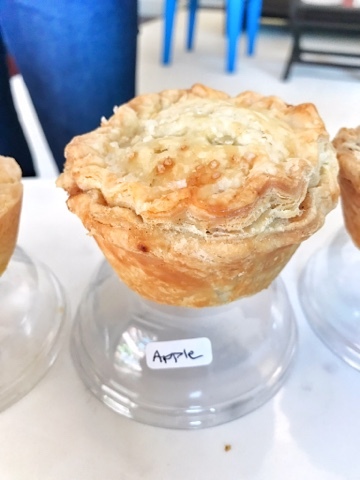 Apple pie was another favorite, made with Granny Smith apples, since this is also one of those "lots of tarts but no pie" situations in Taipei. 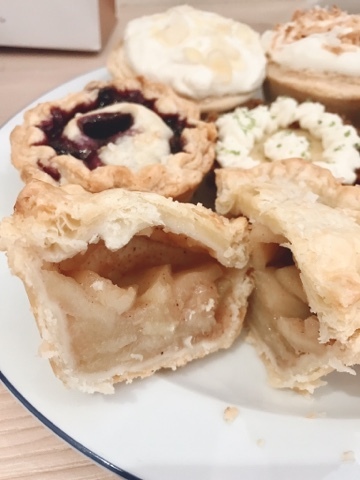 I still remember when I went to BING last year and they had the most amazing apple pie but a few months later when I went back, it had turned into a tart. Now I don't have to look because now I know where I can get my apple pie fix. 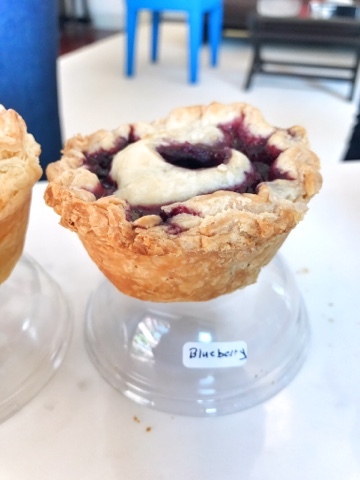 Blueberry is made with Maine blueberries and the filling swirled through the top of the crust so you can see what flavor it is. 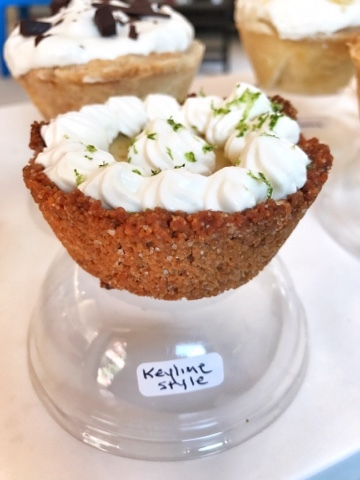 Key lime style has a different crust, with homemade graham crackers that he also premakes. The fresh limes are from Taiwan, so that's why it isn't called key lime and he didn't want to use bottled juice. 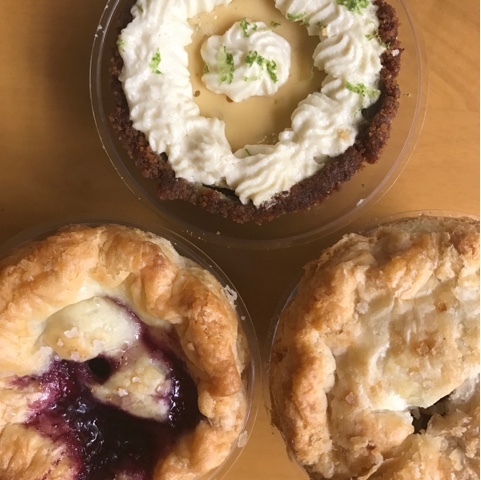 I am a sucker for pies with a bit of sourness to go with the sweet. Loved this one too. Chocolate custard was the right amount of sweetness and comes with bits of bittersweet chocolate atop the whipped cream, which all goes well with the buttery crust. I brought these to a potluck and they all got devoured after my photos so I didn't get inside photos of all of them. 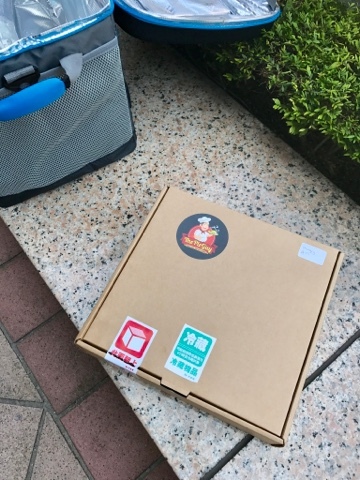 The chicken and chili ones are, of course, best heated up and Pie Guy felt like the mini sizes made them easier for reheating in Taipei kitchens. You can eat them cold, room temperature or ten minutes at 180 degrees in the oven. 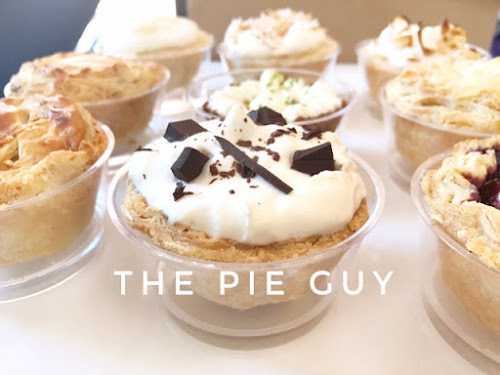 So since Pie Guy doesn't have a store (yet! ), he's made it easy to order with forms in English and Chinese on Facebook. 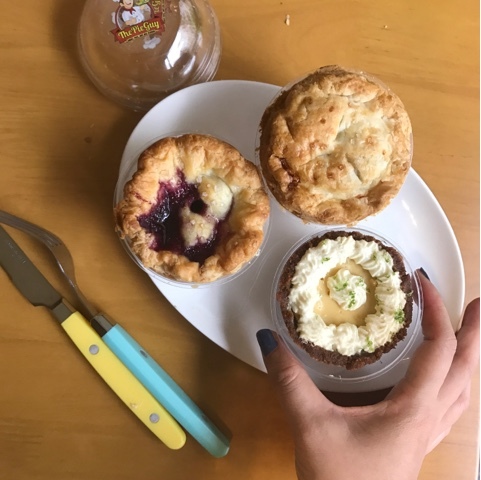 Pies come in sets of three (NT$499) and multiples of three, with prices slightly cheaper as you order more, six mini pies are NT$799 or nine mini pies are NT$1069. There are also weekly popups in Nangang or Neihu so you can see the pies in person, with the schedule also on Pie Guy's Facebook page. 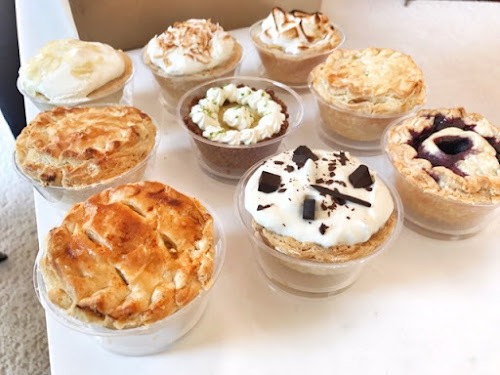 Usually the pies come is sets of three with the same flavor, but I'm excited to announce that I've convinced Pie Guy to do a special HUNGRY IN TAIPEI x PIE GUY sampler pack, with apple, blueberry and key lime style mini pies! 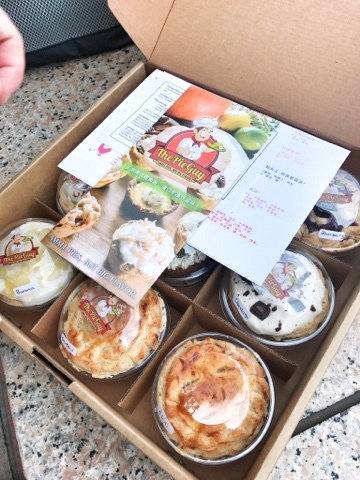 You can try THREE different flavors in one 3-pack (which you would usually need to order 9 pies to try three flavors). The flavors available for this set are apple, blueberry and key lime style for a promotional price of NT$449 for a limited time (only until 6/10/2017) which will include FREE shipping, which takes 3-4 days. I've also partnered up with the Pie Guy to do giveaways on my Instagram and Facebook pages this week, so try your luck with winning some mini pies there. Yay!!! 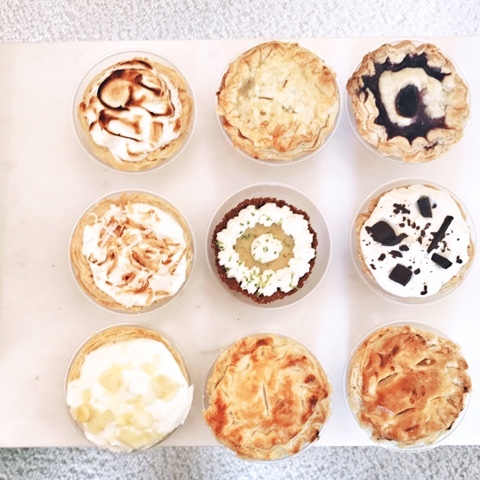 Who doesn't love pies? OVER THE YEARS, I've probably gotten hundreds of emails and messages from readers, not to mention comments on social media like my Facebook page, Instagram and twitter. I read all of the messages and try to respond if I can and if I have the time. I've received many great restaurant recommendations from you guys. Some messages are touching, a note of thanks or details of how they used my blog while they were in Taipei and appreciate my hard work. I've loved hearing from restaurant owners telling me that my posts helped them get new customers or that they feel a noticeable impact. I've led journalists and tv crews on the hunt for the best eats in Taipei, and as far as Keelung, Shenkeng, Tainan and Kaohsiung, arranging the right restaurants to feature and shoot. Once in awhile, I get dumb questions that can be answered by Google or Google Maps. It can be frustrating, but I've reminded myself over the last year that I don't have to answer EVERY single question or plan people's entire itinerary for them. I thought it would be interesting to post some of these questions and answers over the years, since some of these answers might be something you've been wondering about too, OR maybe something you guys can help me answer! This one was cool to research because, hey, Taiwan came in SECOND PLACE at the Baker's World Cup! 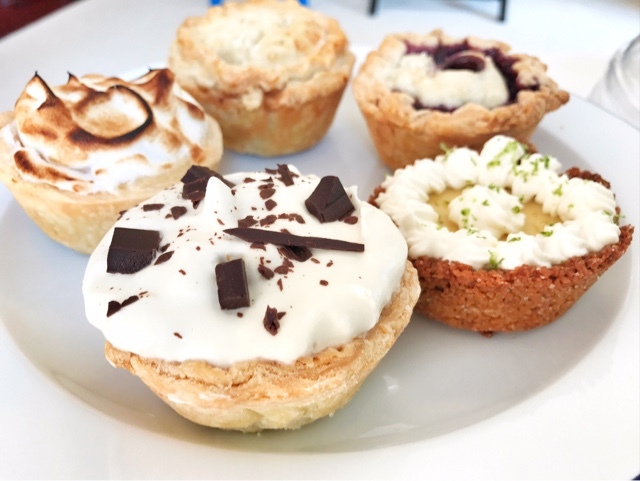 Who's tried these bakeries? My partner and I are traveling to Taiwan later this month and I am trying to track down some bakeries. 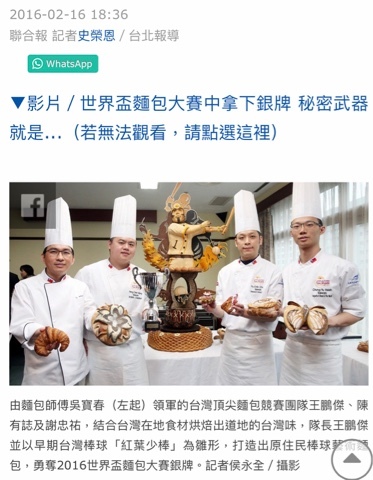 You might know that this past year, Taiwan did quite well at the Baker's World Cup, second place! But I am wondering if you know anything about the other two men or their bakery locations. I'm a professional baker myself and enjoy nothing more than "bakery tourism" when I travel. I love your blog and we will be using it as a resource for our trip. My partner Alexandra caught wind of you all the way over here in Boston. Thanks for your email. Your question piqued my interest since I actually hadn't heard about this win. I'm guessing you got the CTC bakery from city543. According to 40 minutes of research and Google translating, it doesn't seem to be one of the bakeries. One is in Kaohsiung and the other two you can find in Taipei. You can check out their Facebook pages. The only one I've been to is Wu Pao Chun, who is the baker who won in 2010 and led this team. Their shop is in Songyen Eslite. Thanks Joan. I can't express how much I appreciate your great detective work! IS this blogging a business for you? You are very passionate about it. We're actually staying in Kaohsiung for most of the trip with family and a few days in Taipei in February. 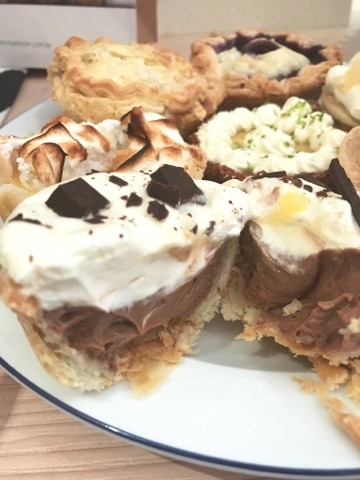 I would be happy to take you out for a pastry as a token of gratitude.